Dr Peter Hofmann (born 1960) joined the KWS Group in Einbeck in 1994. 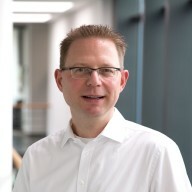 Dr Hofmann studied Agronomy and Phytomedicine at the University of Stuttgart-Hohenheim and attained his doctorate in the field of seed physiology. Independence is a value that unites us with the farmers. We see ourselves as their partners; pay attention to their knowledge and their experience. Dr Peter Hofmann was appointed to the KWS Executive Board, and since then has been responsible for sugarbeet, grain and marketing departments. He took over the management of the sugarbeet segment. Transfer to the KWS group. Until 2004 he was head of sales for sugarbeet in Northern Europe, North America and Asia. He then took over overall distribution. Career start at F. Hoffmann-La Roche in Switzerland, in business development of the Vitamins and Fine Chemicals business unit. "It all started with sugarbeet and KWS has grown along with it. As early as the beginning of the 20th century, KWS was the world leader in the breeding of sugarbeet seed. After 1945 it was also sugarbeet, with which KWS was able to quickly build on its success story. Although we have significantly expanded our crop varieties range in recent decades, sugarbeet is still an important pillar of the KWS portfolio. Thanks to decades of hard and meticulous work, KWS has produced many innovations in this segment. This is something we are proud of." "The benefit of our brand is in gaining and maintaining the confidence of our customers. It is a result of performance and habit. Before people trust products or services, they need to appreciate their benefits and get used to them. Our range of services, the colour orange and an attractive brand image are a decisive factor in this. But only if we remain consistent over a long time and globally, will we create a high degree of recognition. It is essential that farmers not only keep KWS in mind when deciding on their varieties, but that they have us as first choice. "